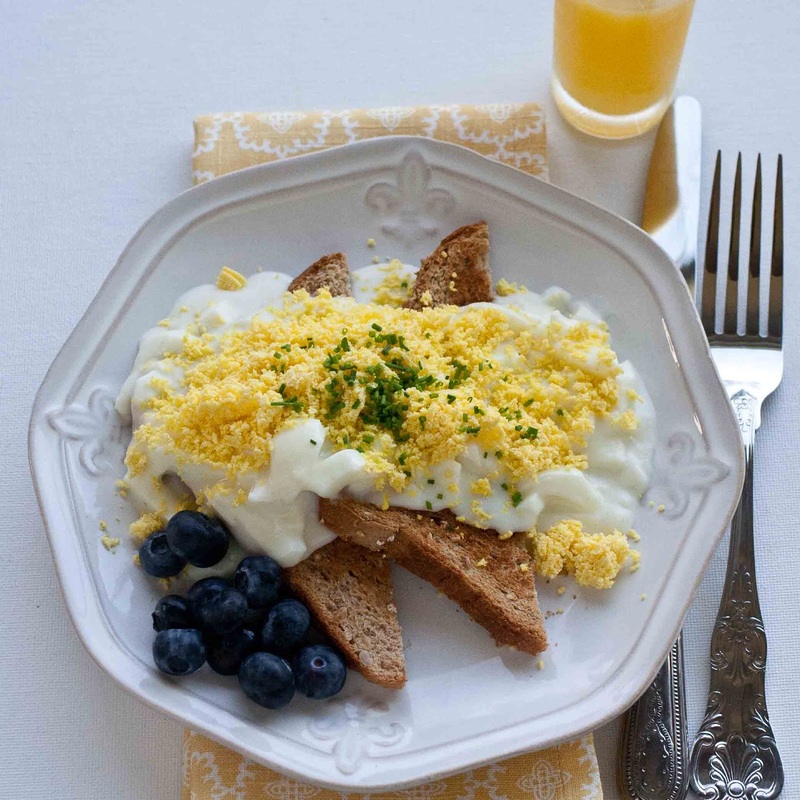 Creamed Eggs on Toast is the first thing my mother learned to cook when she was a young girl. 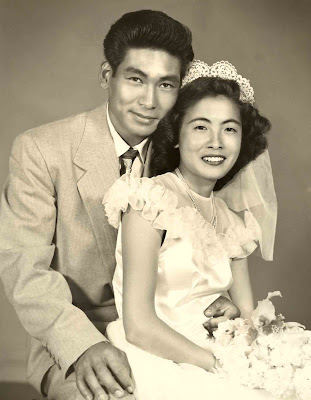 She'd make it special for her older brother, my Uncle Kats. 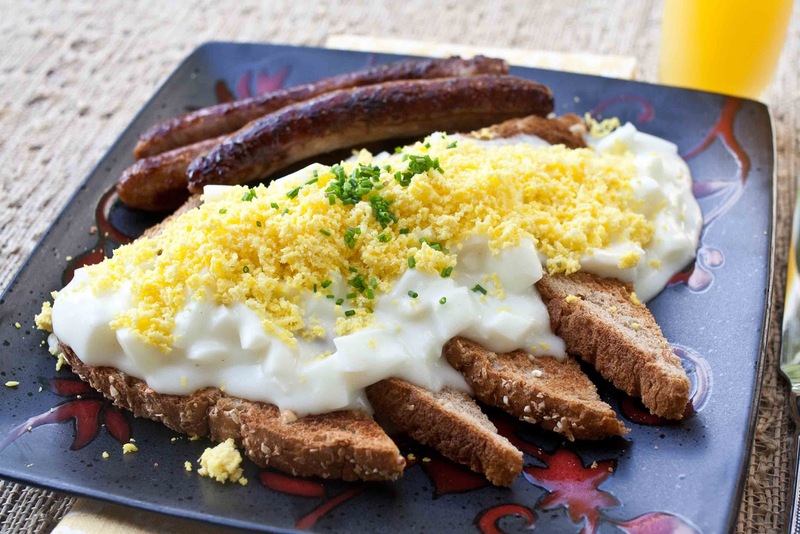 Mom said when Uncle Kats came home from being stationed in Germany after WWII, Creamed Eggs on Toast was a favorite of his and she learned to make it for him. My mom often made it for us while we were growing up. To me, Creamed Eggs on Toast is comfort food. Use hard boiled eggs in Creamed Eggs on Toast. 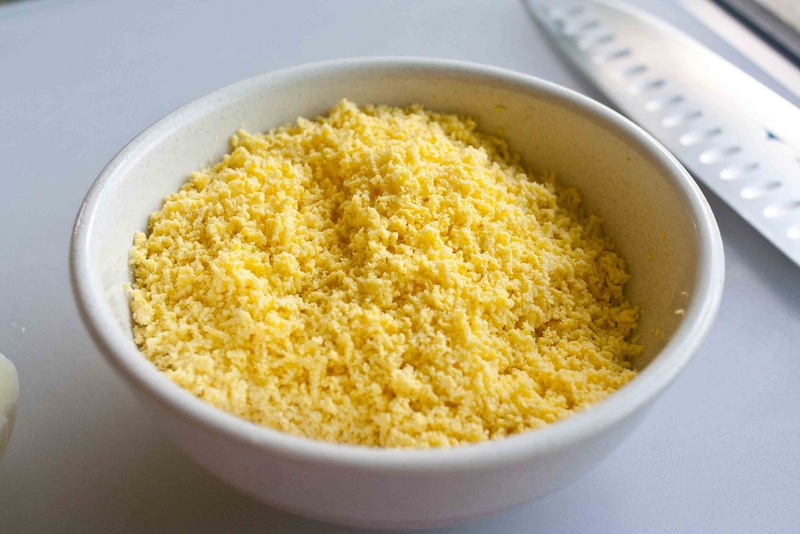 The white part is chopped and added to a simple béchamel sauce, and the yolks are put through a sieve and sprinkled on top. If you like, you can serve it with sausage or bacon on the side. It's a nice breakfast or brunch, something a little fancy. 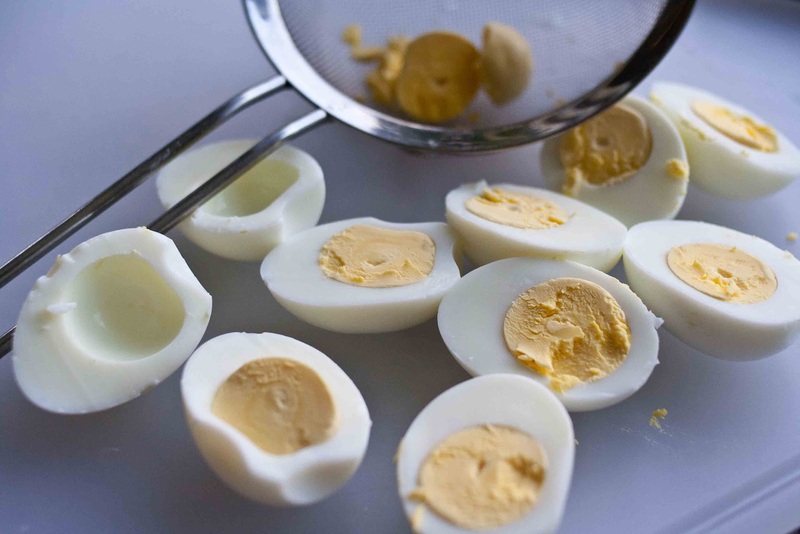 Make hard boiled eggs by putting the eggs in a saucepan with cold water to cover. Bring to a full, rolling boil, cover and reduce heat to low, and simmer for 15 minutes. Cool eggs by putting them in cold water and change the water frequently. 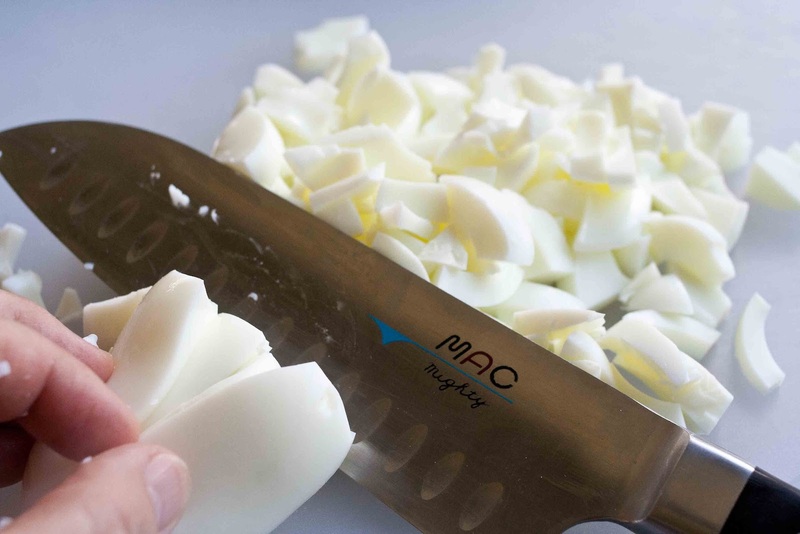 When eggs are cool, peel and cut them in half. Put the yolks in a sieve and push them through the sieve with a spoon into a bowl. That makes the yolks fluffy. Scrape the underside into the bowl, too. Set aside the bowl of fluffy yolks. 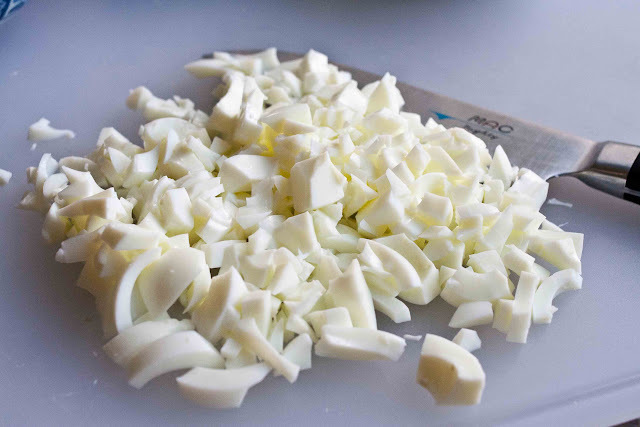 Coarsely chop the egg whites. The egg whites go into the white sauce. 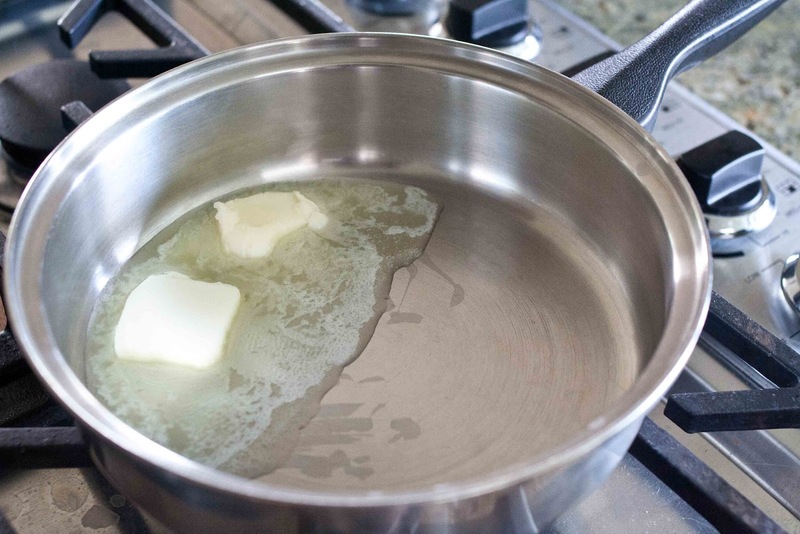 In a saucepan, melt two tablespoons butter over medium heat. Then add 2 tablespoons flour and stir until evenly combined. 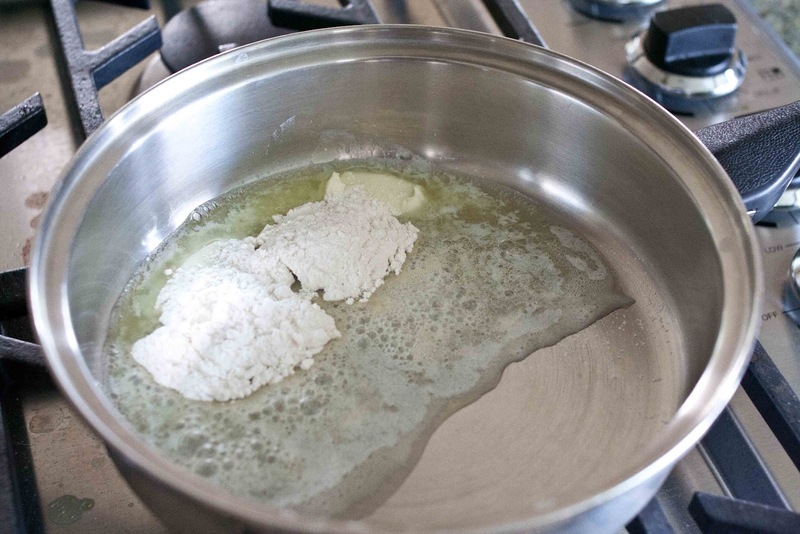 Let the butter and flour mixture simmer for a few minutes, but you do not let it turn brown, so lower the heat accordingly. 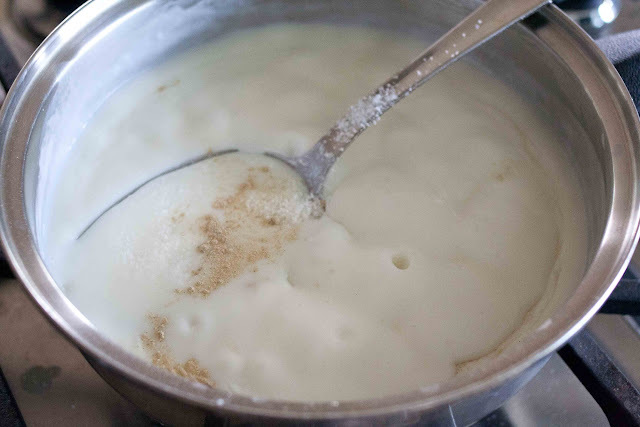 Then gradually add the milk, stirring constantly. I used white pepper--black pepper is fine too. As the mixture is simmering, it will thicken, so keep stirring. 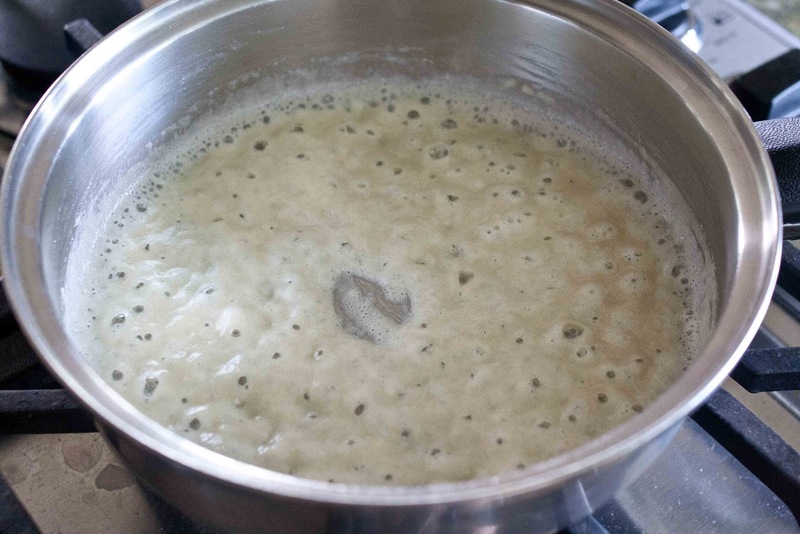 It should have a gravy-like consistency, so add more milk if necessary, then turn the heat down to low. Add the chopped egg whites and stir to combine. Sausage or bacon on the side is good. Fresh fruit on the side is good too. This is me and Uncle Kats. Uncle Kats had a family reunion dinner at a Chinese restaurant every year. 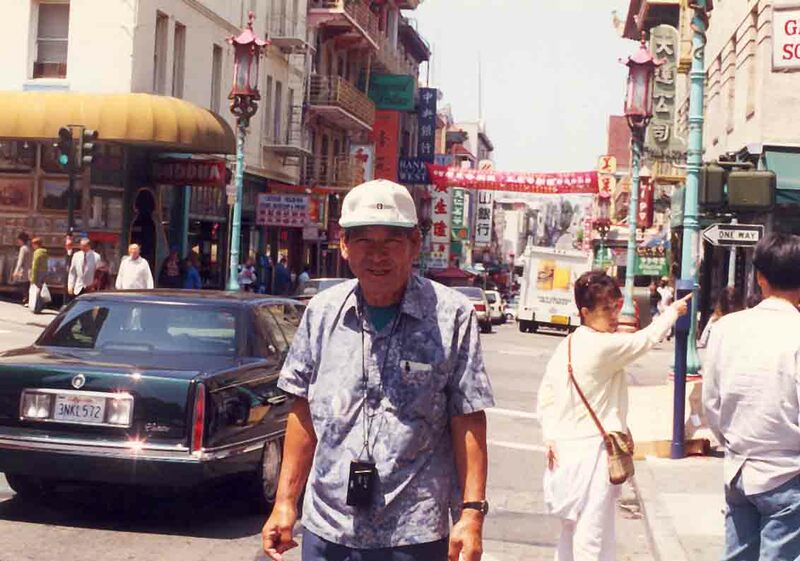 After he passed, the reunions have been sporadic. Remembering Uncle Kats today makes me need to get the reunions going again. 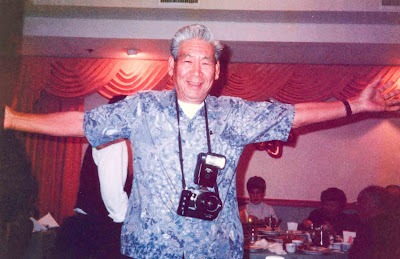 Uncle Kats often took a picture with his arms outstretched like this. They capture his spirit perfectly for me. I think I'm going to start doing that too. It will remind me to be more like Uncle Kats. 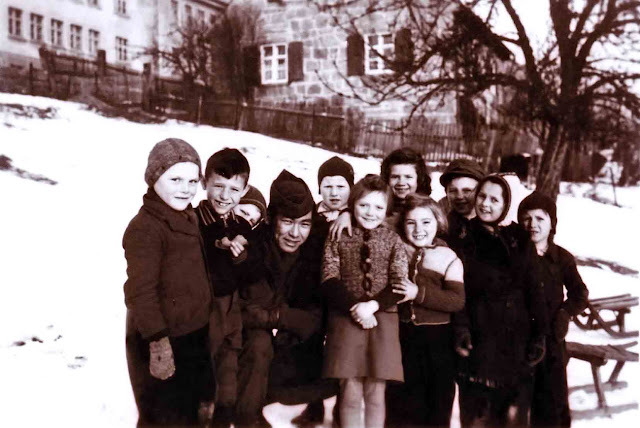 This is Uncle Kats with some kids in Germany, when he was stationed there after WWII. 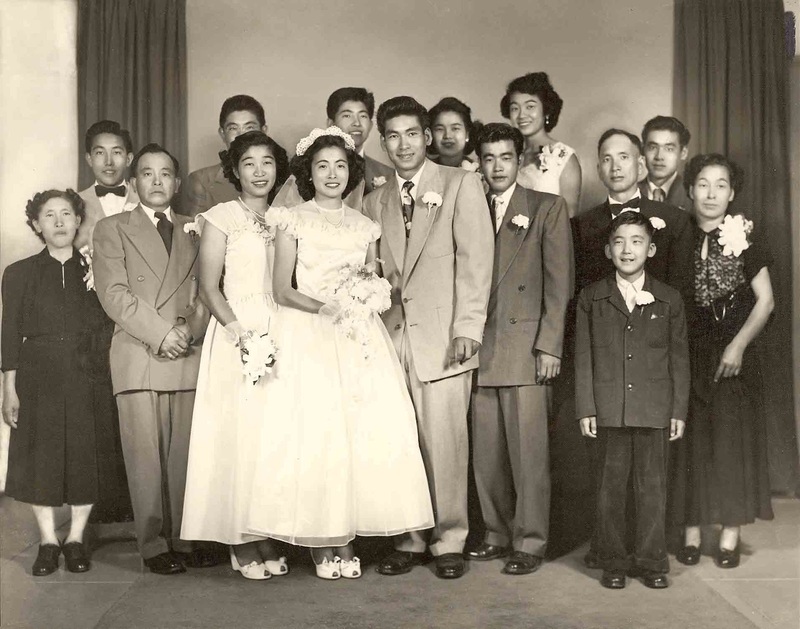 This is Uncle Kats and Auntie Terry on their wedding day. That's my mom in the back row--she looks tall. Uncle Kats told me once that he lived for his hobbies. He loved fishing, traveling and coin collecting--among others. And he loved his family. 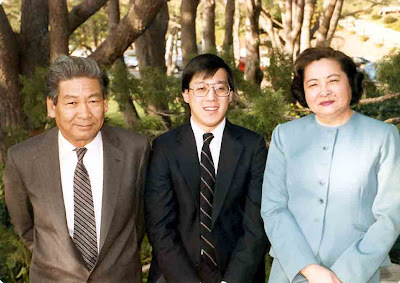 Auntie Terry and their son David. 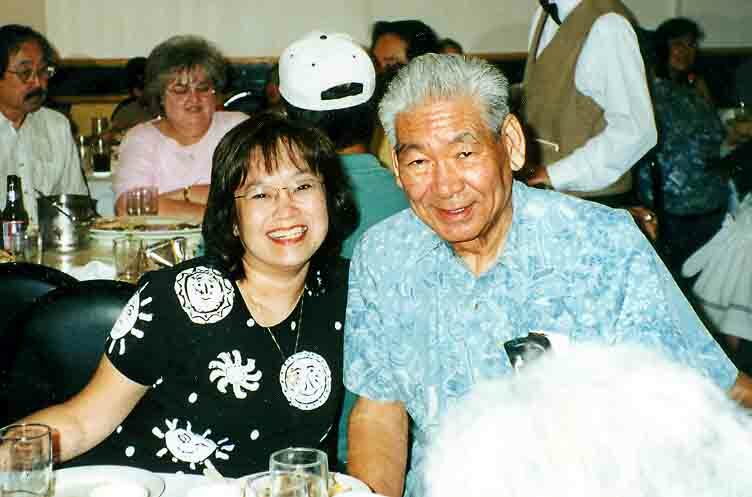 I need to do my part to carry on his legacy and keep getting the family together. Make hard boiled eggs by putting the eggs in a saucepan with cold water to cover. Bring to a full, rolling boil, cover and reduce heat to low, and simmer for 15 minutes. Cool eggs by putting them in cold water. 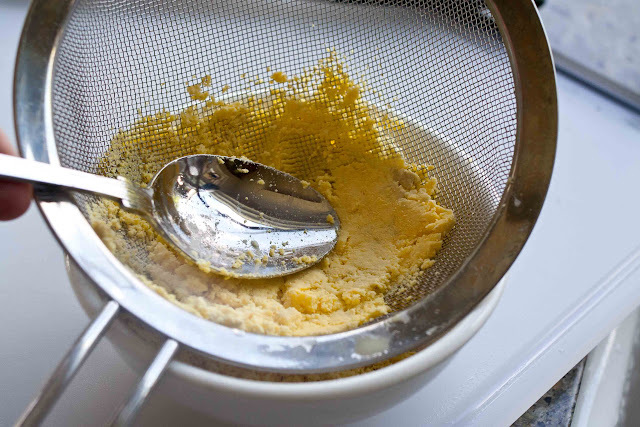 When eggs are cool, peel, cut them in half, and put the yolks in a sieve. 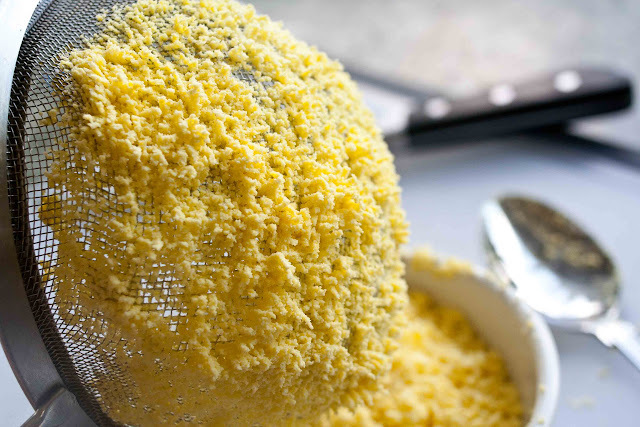 Push the yolks through the sieve with a spoon, into a bowl. Coarsely chop the egg whites and set aside separately. In a saucepan, melt 2 tablespoons butter over medium heat, then add 2 tablespoons flour and stir until evenly combined over medium heat. Simmer for a few minutes, but do not let the mixture brown, so lower heat accordingly. 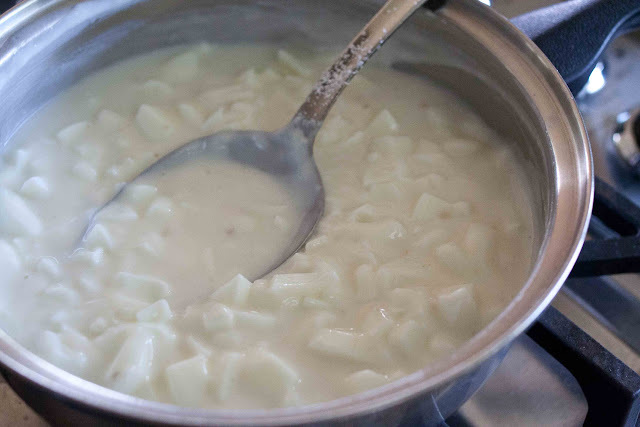 Gradually add milk, stirring constantly. Salt and pepper to taste. As the mixture simmers, it will thicken, so stir as needed. 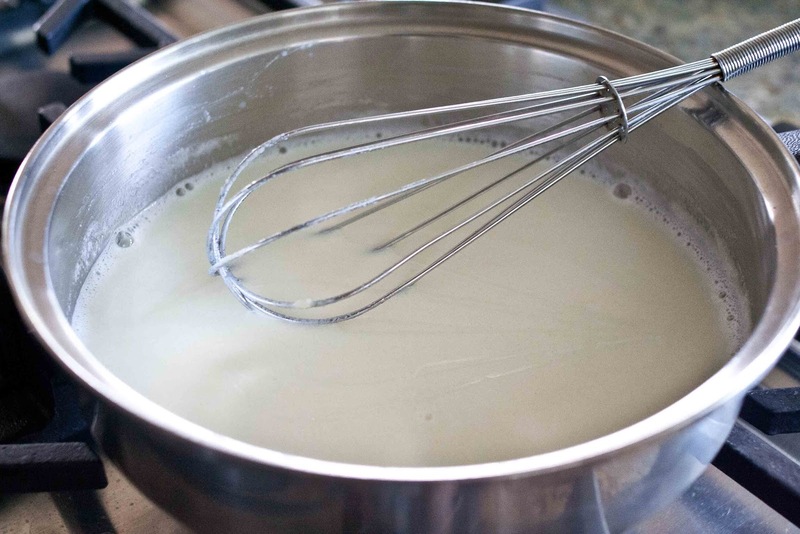 The white sauce should have a gravy-like consistency, so add more milk if necessary. Add the egg whites and stir to combine. Taste and adjust seasoning. 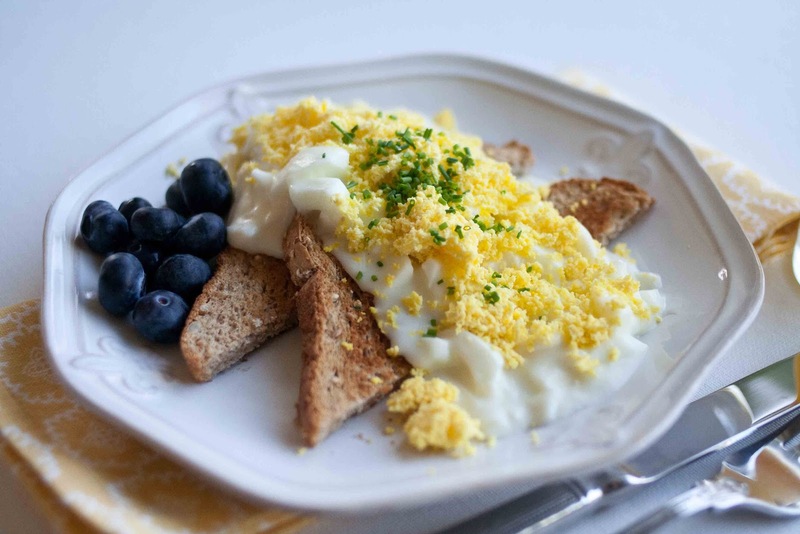 Serve over toast with the egg yolks sprinkled generously on top. Garnish with chopped chives or parsley. Karolyn, what a nice tribute to your uncle. You have a beautiful blog here and I hope to try some of these recipes! 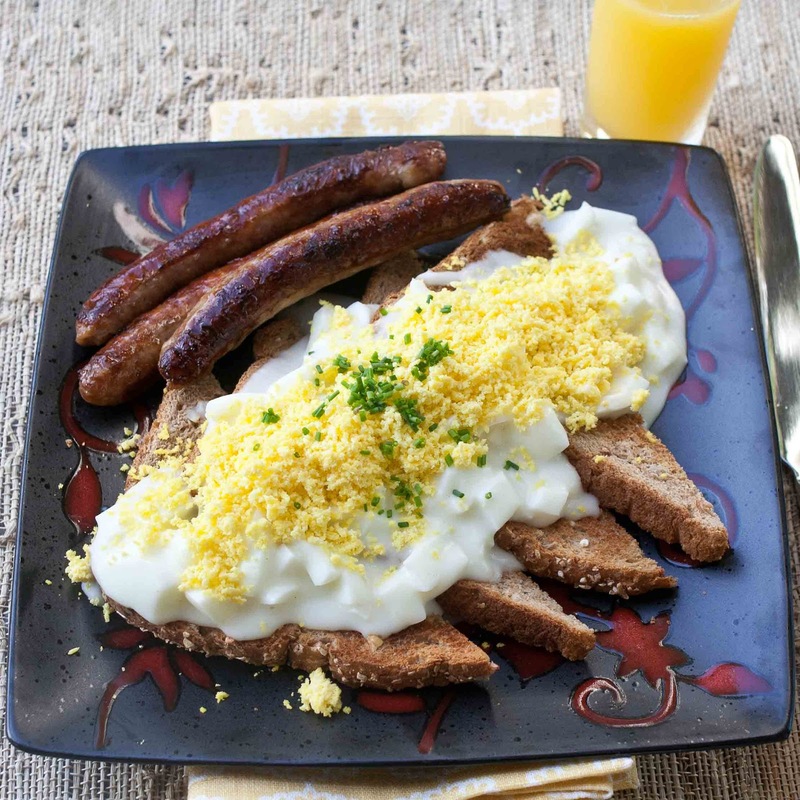 the breakfast recipe looks easy and so yummy! Beautiful story about your uncle. I have never seen eggs like this, I want to give it a try soon! This is such a beautiful and artfully created breakfast. I would have never thought I doing this with eggs. Can't wait to try this out. Also, the tribute to your uncle was very beautifully put. I was surprised to see this on a blog. Its exactly the way my mom made it for us while growing up in Fresno. I make it often for my girls now although I cube the toast in 1"x1" squares before covering it with the creamed eggs. Beautiful tribute to your Uncle Kats. 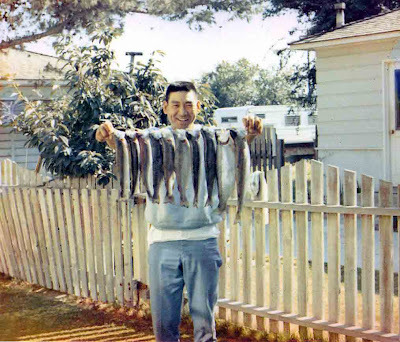 I especially like his stringer of trout.